Vikaine, Thermal, or K-9 in Raleigh/Durham/Cary, NC? Any good PCOs in Raleigh,NC??? + advice ??? Please Please HELPThermal Treatment ????? Thermal Treatment? and some venting! 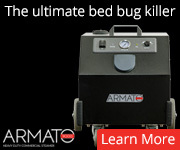 Does any one know of a PCO in Raleigh/Durham/Cary, NC that does thermal, vikaine, or has a K-9 for bedbugs? We have had 5 chemical treatments one bedroom, 3 on 2 of the bedrooms, 2 on other bedrooms and family rooms, and 1 on common rooms. It is complicated why all the rooms are on different schedules. They are treating with multiple chemicals,steam, vaccuum,and dust. All the outlets were also dusted. I saw another bug on the sofa last night. I would like to just throw them away but don't know if it will do any good. I really am going crazy. I posted awhile back. We have a 5,000 square foot home on 3 floors and have 5 kids and 2 dogs. I don't know how long I can keep living like this and was thinking one of the above methods could give us peace of mind. hello - i feel your pain - we had a similar situation: very large house (3200 sq. ft) 3 cats and a dog, and two miserably failed (the bites increased!!) pesticide treatments by a spray and pray guy. i can't imagine adding children to the mix! and we ended up going with thermal instead of trying to play "find-the-bedbugs-with-as-much-poison-as-the-house-can-stand" as we are green and organic as they come. 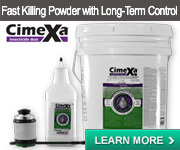 it broke our hearts to spray poison in our house but it was worse to shell out 800 bucks for nothing. Killingsworth Pest Control provides K9 services in North Carolina. 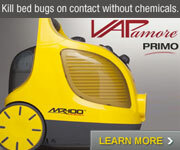 For Vikane gas fumigation, check with PCOs that are licensed for termite control. Check around to find a company that is experienced. 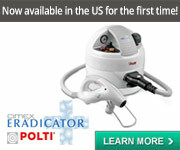 Check with Thermapure or Thermal Remediation to see if a franchise is located in your area. 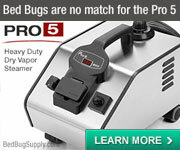 Thermal or gas fumigation can be very expensive for a 5k square foot house. 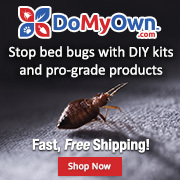 We have read that 3x as much Vikane is needed for bed bugs as for termites, so it may go without saying, but this is just a reminder to make sure that a Vikane provider knows you are treating for bed bugs and not termites. Killingsworth is the best company to call! I have actually just gotten my second treatment done about 30min ago. Wow, I thought I was the only one in Raleigh with bedbugs..I guess it just seems that way being that bb have taken over my life! 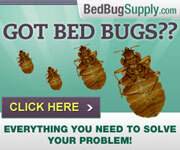 They are really nice and understanding and most of all, they are proffesionals when it comes to bedbugs. About 3 weeks ago they had their k-9 (Ms. K) come out and sniff my place and it was evident that I had bb. The getting ready procedure is hell, but I kinda feel as if it is getting better. (I have gotten bit twice last week though) They answer all of your questions, and trust me I had and still have more questions. I also think it is a plus that they provide bb proof encasements for your bed, and they will definitly try to treat your furniture before you have to throw it out; thankgod it hasnt come to that for me! They will inform you about everything that is going on, and they wont keep you guessing. Im sorry that this is happenning to you in your home; I was actually a little lucky because I rent but Im still battling these critters! First they did the inspection, and they gave me 4days to prepare for the first treatment( it seems long, but it gave me enough time to prepare) I couldnt be home for the first treatment, but they vacuum throughly and encased my mattresses and sprayed my couches, tables, dressers, ect. I was present for the second treatment and I also had alot of questions but they repeated treatment, just not as harsh as the 1st time. Today was my 3rd treatment and I somewhat feel alittle better, but I dont think I would ever be the same! I have gotten bit twice last week and it scared the living daylights out of me but all I can do is pray!! I told the killimgs pco that I was planning on moving in March and he said to call them before to get the dog to sniff before I go. He also told me to let my LL know if I get anymore bites, but Im hoping I will never have to deal with this again! - I have just gotten my 3rd treatment done about 30 minutes ago! Thanks for the all the advice. Funny how one little bug can completely change your life. We used to love to travel and we used to love our house. We contacted Killingsworth. Problem is dog alerts to both dead and alive bugs. We know we have lots of dead ones. They do the same treatment as our current company so there is no advantage to switching companies. The question is it worth the money to have the dog come out and possibly clear some of the rooms? We have had two different companies tell us that thermal is not an option here. The inside walls of the house are not made to withstand that kind of heat. Don't know if we should try to find someone who does Vikaine or not. We don't have the money for it, would have to charge it. Maybe we need to have faith in our current PCO and just keep plugging along. Sick of these bugs! did you ever find anyone to do the heat treatment in raleigh ? 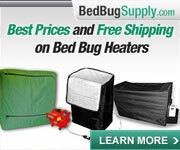 Or ever find a way to completely get rid of all your bed bugs ?